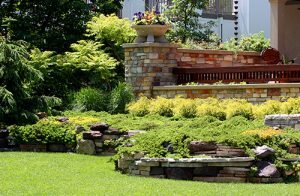 It is said that a newly installed outdoor environment can add up to fifteen percent additional value to your home. While this may be a compelling reason to undertake a new landscape design and implementation project, our design professionals at IVY Studio will argue that while important, this should not be the single motivation factor for undertaking this exercise. How do you measure and quantify the other factors that should be underlying the desire to enhance or add outdoor features to your residence? How do you place a value on creating a unifying home environment where your children and their friends feel safe and comfortable to enjoy themselves? Same thing for creating a warm and inviting outdoor area where you can entertain your friends and family? The perception of value means different things to different people and involves careful consideration of many factors. Let our design professionals at IVY Studio engage in a frank conversation with you about your values and creating and implementing an outdoor expansion that is sensitive and respectful of those values. In the process, not only do we add value to your home, but we help you significantly enhance your use and enjoyment thereof!